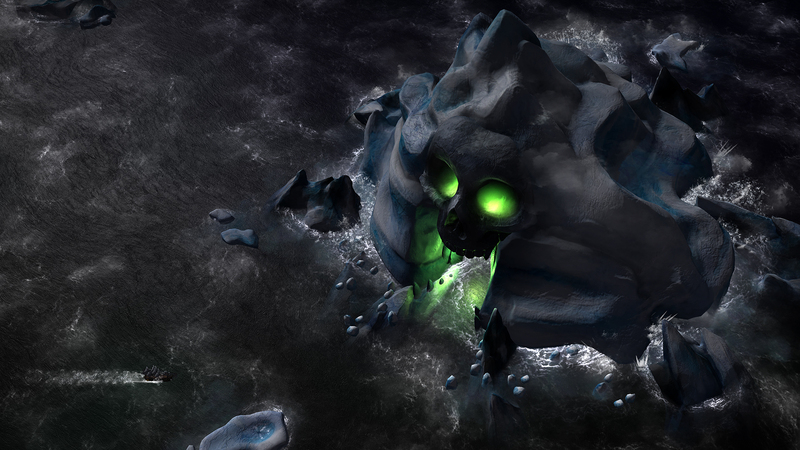 This page will cover details of The Haunted Seas, the latest major update for Abandon Ship. It will be useful when planning your Streams / Video Recordings. You may also find some of the images here helpful with your thumbnail previews. There are more images in the Press Kit (link for this is in the top-right). The main area of interest for coverage is a standalone story which lasts approximately 60-90 minutes. This spooky tale delves into the tragic past of a new Captain and contains battles with Ghost Ships, Zombie Kraken and more, all while exploring Death’s Realm. Never played before, or need a reminder? The Haunted Seas assumes that you are already familiar with how to play Abandon Ship, so any tutorials are very light, and explain how to use the new Souls currency. If you have never played before, need a refresher, or haven’t played any of the latest updates, the main story includes a complete tutorial – although it’s easy enough to work out. – In exploration mode, the world icon in the top-left corner pulls out your view to see the entire map. – When exploring a map, click and hold the mouse cursor and your ship will navigate to that point. A single click will also send the ship to that location. – In combat, left-click selects crew, and right-click confirms the action. Everything is context sensitive, and most things require the crew to man the correct object – i.e. you cannot perform maneuvers unless someone is manning the wheel etc. The same left-click select, right-click confirm principle works for weapon aiming and firing, too. – Autofire can be toggled by right-clicking the weapon button. – Press the space bar to pause the game. You can issue commands that will be carried out when you unpause the game, handy for if the battle is getting a bit hectic! – Ghost ships are crewed by the undead – these soulless automatons are individually weak, but can be resurrected en-masse by their leader, the Lich Captain. – Ghost ships have at least one Ghost Mortar that fires a blood splat onto the deck of your vessel – from this rise a handful of zombies. These are easily dispatched, but if not managed appropriately can swarm you. – Once in the Haunted Seas, you may use the new Soul currency to repair your ship and heal badly hurt crew. You may even resurrect dead crew! Visit the Ship and Crew Management screens in the Journal to do this. You may visit these screens at any point in exploration mode. – Souls can be gained from winning battles and the floating coffins that litter the map. 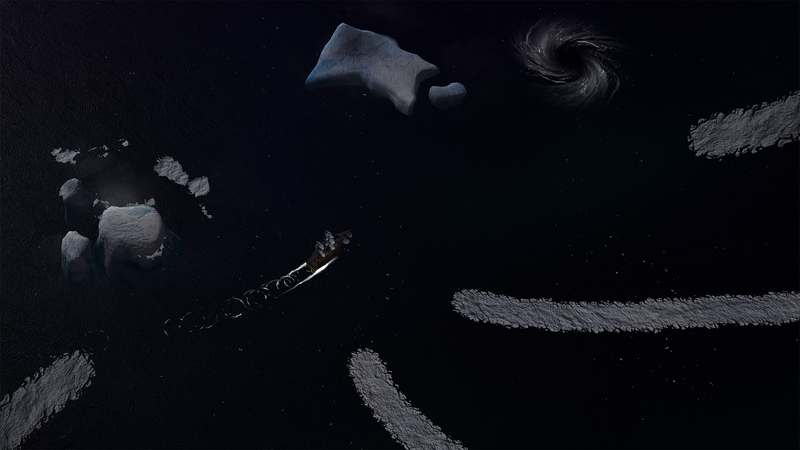 – In the main game, ship destruction would mean being stranded, or afloat in the lifeboat. In Death’s Realm, there is no such luxury. Permadeath rules here, however a manual save is performed at the start of every new map, should you need it. – Get a lot of money to spec out your ship and crew as you wish. This is your last opportunity to do so before embarking into the Haunted Seas. – Trail a strange vessel, which traps you in a whirlpool as you approach. – Wake in the Haunted Seas, and fight a Ghost Ship. – Try to escape through the gate, only to be foiled, and subsequently confronted by Death himself. Between 5 and 10 minutes. Placed in a black sea with huge prehistoric bones protruding from it, your crew blame you for getting trapped here, and mutiny. 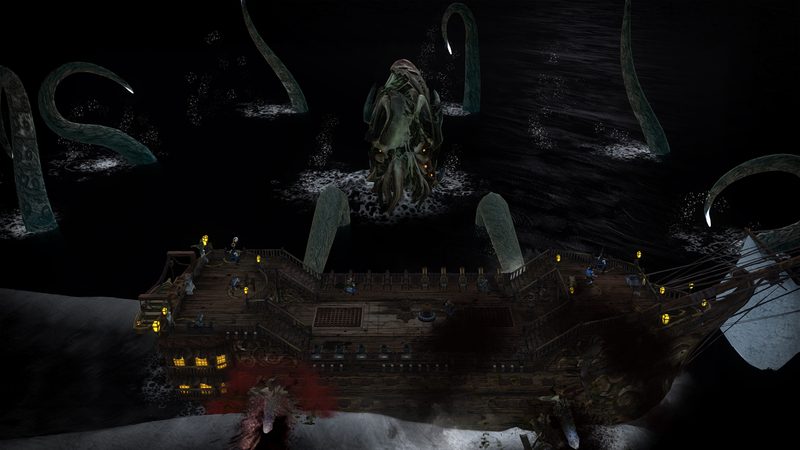 When blood is spilled, it attracts a Zombie Kraken which you must battle. Defeating it opens up the whirlpool, which is your escape route. Selecting the “Quick-Start” option when choosing a new game will miss the first two maps, putting you straight into battle with a Zombie Kraken in the Giants Graveyard. As part of the Quick-Start flow you’ll be given an opportunity to visit port and equip your ship and crew, exactly as if you had manually played from the beginning. 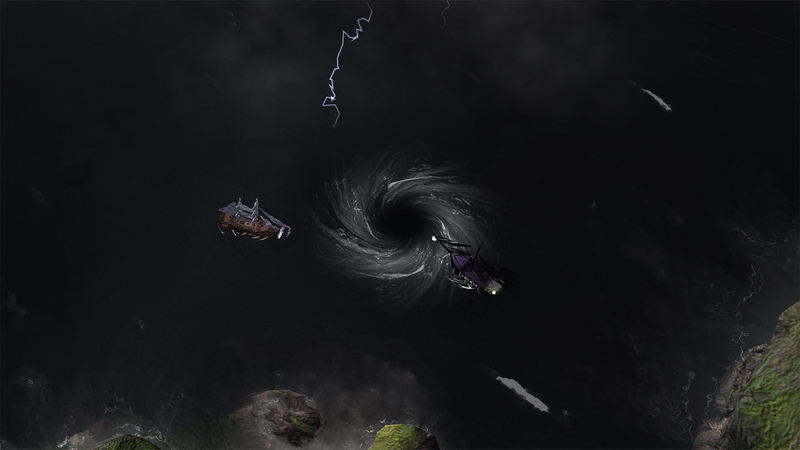 The escape Whirlpool is already open across the far side of the map. However, the very ice itself will snake across the water trying to trap you. When it does, you’ll be assaulted by a horde of Ice-Zombies. The longer the battle rages, the more the constricting ice will damage your hull. Once you have defeated the final wave of Ice-Zombies, the ice will recede, allowing you to re-commence your search for the whirlpool. Between 10 and 15 minutes. Navigating to the central island reveals a gigantic macabre organ. This can be played using either the mouse or keyboard. In order to see the keyboard controls overlaid on the piano UI, click the “Show Keys” button. You need to find another island that contains the Music Sheet. Once you have obtained this by completing the sequence, you must play the correct tune on the organ to open up the exit whirlpool. By visiting a copy of his tropical home in the frozen wilderness, the Captain learns a dark facet of the truth. Once this has been accomplished, it triggers the whirlpool, trapped behind a gate. Dispatch the 4 Ghost Ships that have arrived to gain access. A giant ice-maze keeps you from reaching the central whirlpool. Beware the Ghost Ships that lie in wait. The screenshot on the right shows the entire map zoomed out with no fog-of-war. 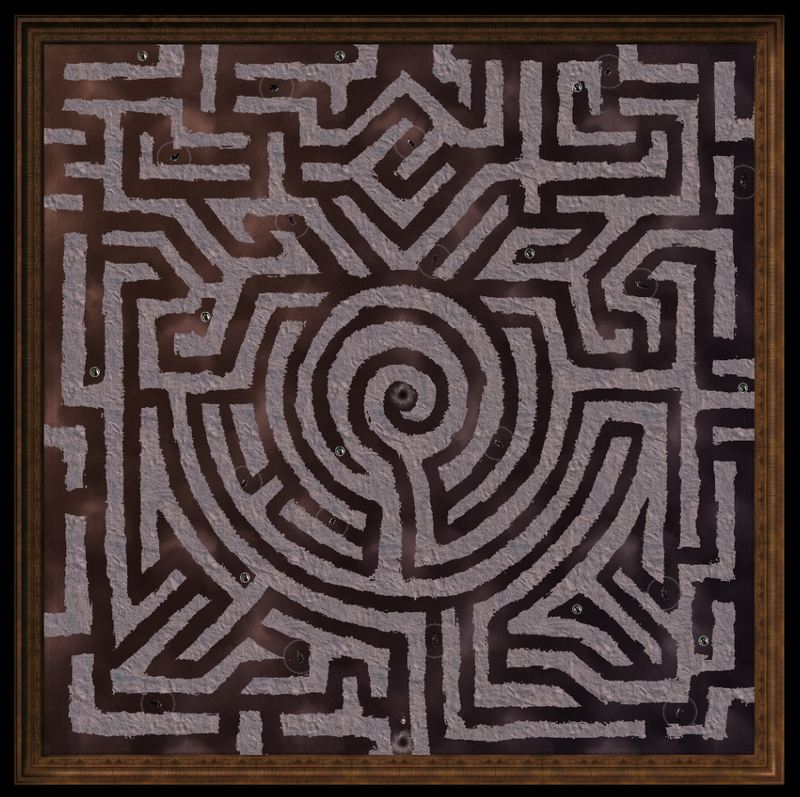 You can click on this to expand it should you need help in navigating the maze. The truth has been revealed, but the escape route is guarded by one final test. Overcoming it will allow passage beyond – but to where? The standalone story is a fun way for us to offer players an easy entry point for trying out new content. This new region is also accessible from the main game, although as it is a different character it differs slightly from the standalone version. If you wish to experience this, then after defeating the Kraken at the end of Act 1, navigate to the port of Mox-Mortis at the base of the Haunted Seas to commence this side-quest. Abandon Ship is a Registered Trademark of Fireblade Software Ltd.